Previous research has consistently found that transgender women experience high levels of domestic violence and abuse (DVA). Yet, to date, no studies have explored the efficacy of training workshops aimed at increasing the capacity of service providers to meet the needs of transgender women. This paper reports on findings from one such workshop developed and run in South Australia. Workshop participants (n= 25) from three domestic violence services completed both pre- and post-workshop measures of attitudes towards working with transgender women, comfort in working with transgender women and confidence in providing services to transgender women. In addition, participants responded to open-ended questions regarding terminology, and awareness of referrals related to the link between DVA and animal abuse. Statistically significant changes were identified on all measures, with workshop attendees reporting more positive attitudes, greater comfort and greater confidence after completing the workshop. Analysis of open-ended responses found that attendees developed a better understanding of both appropriate terminology, and referrals for women who present to services with animal companions. We conclude with suggestions for how programmes and services may become more welcoming and inclusive of transgender women experiencing DVA. Our affiliate, Simon Carter has had two recent publications on dog friendly and inclusive urban planning. As urban planners focus on creating more sustainable cities, there is an increasing need to plan for other species. Found in around 40% of Australian households, dogs have a growing, legitimate presence in urban culture and society. Dogs however remain a neglected subject of urban planning scholarship and practice. This paper critically examines why urban planners exclude dogs as subjects of their plans through the voices of practising strategic planners in the urban context of Melbourne, Australia. This paper characterises planning as being governed by two dimensions – the ontological and epistemological – and finds that the actions of planners in excluding dogs from consideration concerns the functioning of their ontologies of gatekeeper and practitioner as they negotiate and reshape the frontier of planning and its field of concern. The importance of anthropocentrism in governing how planners exclude dogs from planning in practice is shown to be profound. This study examines the effectiveness of animal management from a critical theory perspective, establishing a framework to describe the animal management activities of local government. In creating sustainable cities, local government must critically engage with the management of other species which live alongside humans. Despite around 40 % of Australian households owning a dog, there is relatively scarce scholarly attention paid to animal management as a subject in its own right. There are numerous studies examining the need to regulate dogs, however there are relatively few studies which examine the effectiveness of regulation. Nik was recently part of the HARN Veg*n Sustainability Workshop held at the University of Sydney. 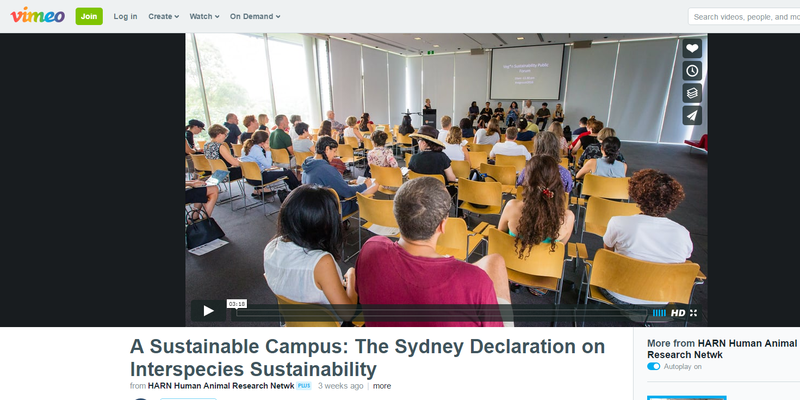 One outcome was a group authored article on A Sustainable Campus: The Sydney Declaration on Interspecies Sustainability. The article is now available for free download. Along with the article there is a video available. Under the remit of an expanded definition of sustainability – one that acknowledges animal agriculture as a key carbon intensive industry, and one that includes interspecies ethics as an integral part of social justice – institutions such as Universities can and should play a role in supporting a wider agenda for sustainable food practices on campus. By drawing out clear connections between sustainability objectives on campus and the shift away from animal based products, the objective of this article is to advocate for a more consistent understanding and implementation of sustainability measures as championed by university campuses at large. We will draw out clear connections between sustainability objectives on campus and the shift away from animal based products. Overall, our arguments are contextualised within broader debates on the relationship between sustainability, social justice and interspecies ethics. We envisage that such discussion will contribute to an enriched, more robust sense of sustainability—one in which food justice refers not only to justice for human consumers and producers of food and the land used by them, but also to justice for the nonhuman animals considered as potential sources of food themselves. 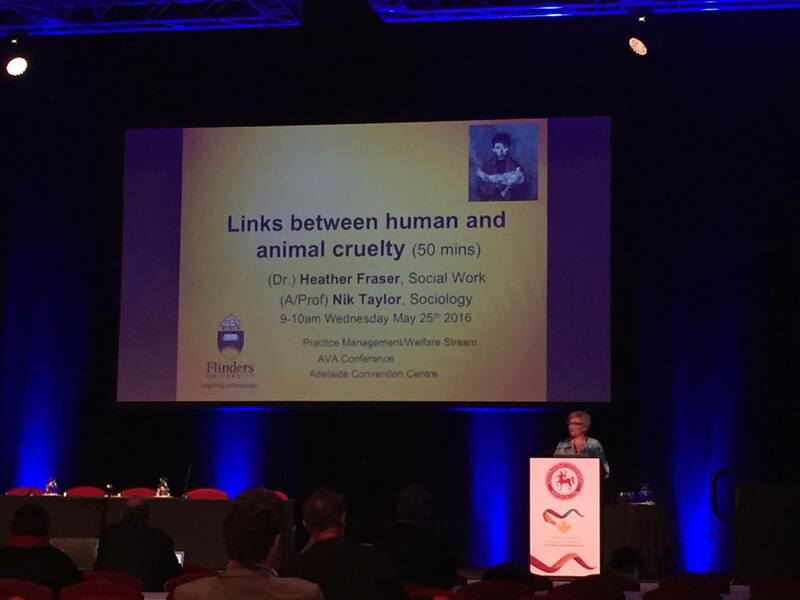 Abstract: This session focuses on “The Link” between animal and human directed cruelty, abuse and aggression, and also explores the possibility of humans and animals working together to mediate against the effects of such violence. After outlining research into “The Link”, I present my own (collaborative) work which considers some of the promising responses to acknowledgment of human-animal violence links, particularly regarding the feasibility of cross-sector – i.e. animal and human welfare sectors – reporting of abuse, already implemented in north America and the UK. I then discuss the potential of animal assisted therapies in mediating the negative effects of domestic violence and sexual abuse for humans. After noting some of the ethical and practical considerations of incorporating animals into therapeutic activities for humans, I present my own (collaborative) research into whether, and how, animal assisted therapy programs might be used with young people to change attitudes to animals and thereby potentially contribute to breaking the cycle of violence to both humans and other animals. 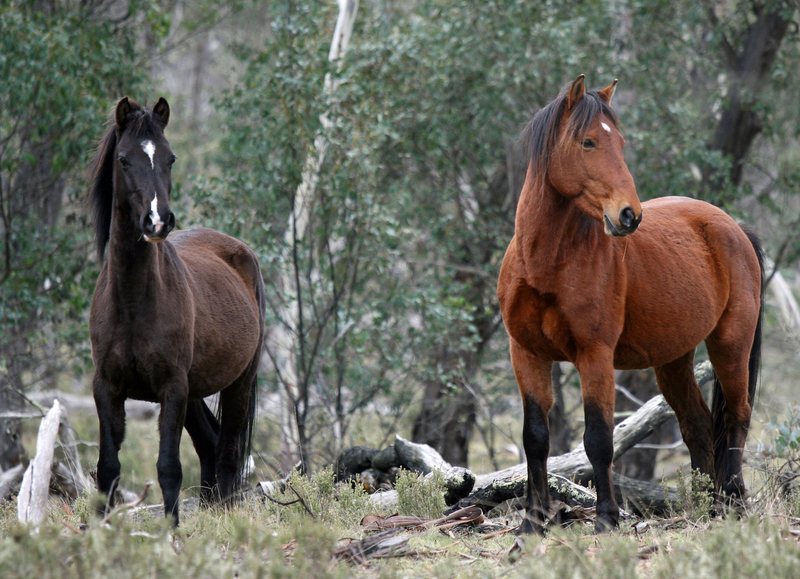 This study examines the practices of Equine Assisted Therapy and Learning in Australia. Among Equine Assisted Therapy (EAT) and Equine Assisted Learning (EAL) centers there is a large degree of variation in practice worldwide. The current study outlines a range of practices in two states in Australia where EAT and EAL have arisen and evolved from models developed elsewhere. The philosophical foundations, training and certification processes followed along with the types and training of horses involved are compared across facilities. 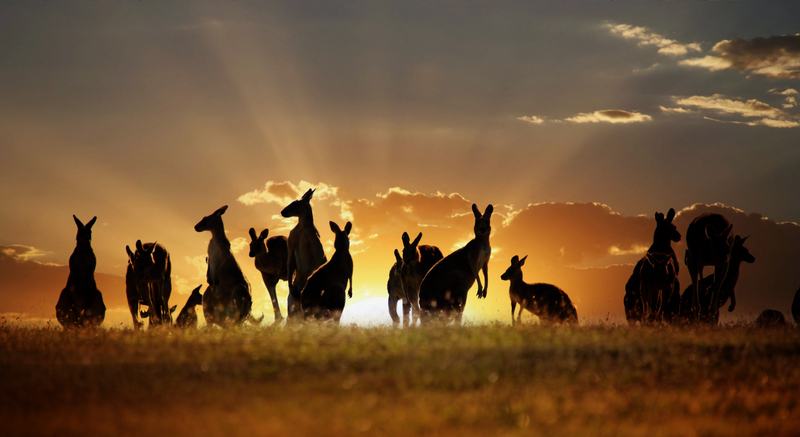 The findings of the study illustrated the large variation in EAT and EAL in current practice in Australia. The results suggested that if the practices of EAT and EAL are to move out of the “fringe” of mental health and learning professional practice and into the mainstream, their theoretical underpinnings, certification and licensure procedures, and methodology of practice must become more clearly defined. 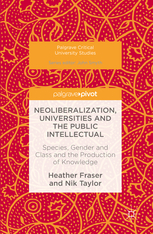 New book by our conveners – Neoliberalization, Universities and the Public Intellectual: Species, Gender and Class and the Production of Knowledge. From the cover, “This book employs an an intersectional feminist approach to highlight how research and teaching agendas are being skewed by commercialized, corporatized and commodified values and assumptions implicit in the neoliberalization of the academy. The authors combine 50 years of academic experience and focus on species, gender and class as they document the hazardous consequences of seeing people as instruments and knowledge as a form of capital. Personal-political examples are provided to illustrate some of the challenges but also opportunities facing activist scholars trying to resist neoliberalism. Heartfelt, frank, and unashamedly emotional, the book is a rallying cry for academics to defend their role as public intellectuals, to work together with communities, including those most negatively affected by neoliberalism and the corportatization of knowledge.” More soon on our blog. We have started a new series called ‘why animal studies?’ Over the coming months we will feature entries from various people involved in animal studies, reflecting on the field and their involvement in it. Entries can be found on our blog page. Interested in contributing? Drop a line to nik.taylor@flinders.edu.au. Experience of childhood sexual abuse (CSA) is a risk factor for the development of maladaptive outcomes across the lifespan. CSA victims have been found to have a significantly higher risk of developing Post Traumatic Stress Disorder (PTSD) than children who experience non-CSA trauma. While cognitive behavioral therapy approaches have been found to effectively treat PTSD, reviews suggest that children who have experienced CSA commonly disengage from this type of therapy. Engaging children who have been sexually abused may therefore require both innovation and creativity. One approach that is gaining recognition as effectively addressing barriers associated with engagement and retention is animal assisted therapy (AAT). The current article presents a quasi-experimental assessment of an AAT program working with children who present with clinical symptoms of PTSD following CSA. The efficacy of the program is discussed along with implications of the rising interest in AAT initiatives.